Thankfulness is a choice. We can accept things given to us as though we deserve them. We can choose to ignore the generosity of the giver and never respond at all. But a thankful person will always try to respond with a heart of gratitude. The giver actually chose us to be the recipient of their generosity. Wow! It fills our hearts with joy and if the gift is something valuable to us, we will really respond with thanksgiving. The greatest Giver of all time is The Lord God, Jehovah. He gave us life. He offered us forgiveness and a hope for the future. The greatest gift He gave us was the salvation of our souls through the offering of His son, Jesus at the cross of Calvary. John 3:16-18 reveals the heart of the Father God more than any other for me. What a picture of a true giver! One of our goals in life should be to imitate the graciousness of the Father God. He is always looking for ways to bless mankind. 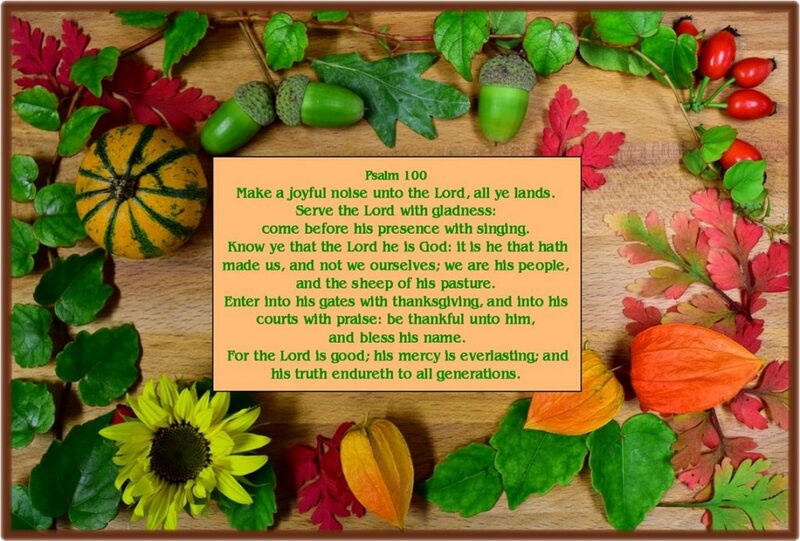 If we want to please Him and show Him our thanksgiving, we must be like Him. So much anger is in the world today. We have become so touchy and fretful, like small children who are never content. We retaliate with harsh words over the least offense, yet preach a “no bullying” lifestyle for our children. When we as adults can learn to drop the touchy, quick to respond anger, we may see more of the kindness towards each other that leads to a thankful life. May God heal our hearts today and show us how to be like Him, filled with kindness in the face of hatred and able to forgive others when they don’t deserve it.